I've been very busy myself, what with the Christmas Blog Hop coming up and my own job, so my skin is starting to look a little dull. I've been in front of the computer and under the aircon for far far far too long, so I started looking for something that could warm me right up (instead of the zombie I've started to become). 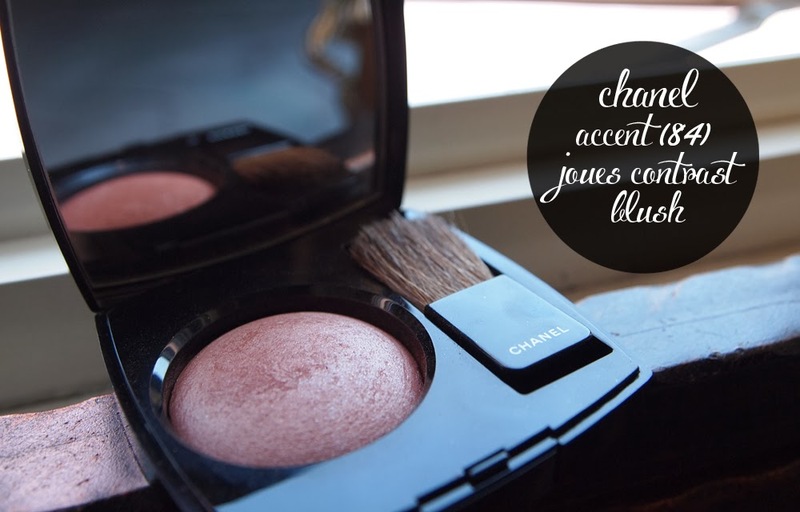 In comes the blush of my dreams... Chanel's Accent Joues Contraste Powder Blush! The packaging is quite typical of any other Chanel Blusher case. it's classy and black in it's sleek squarish casing that opens up to show the blush on the left side and the brush on the right. The mirror is wide and takes up the top lid portion, so one may apply the blush on without having to run to a mirror. The brush that comes with it may look small and ineffectual, but it's actually been quite decent! 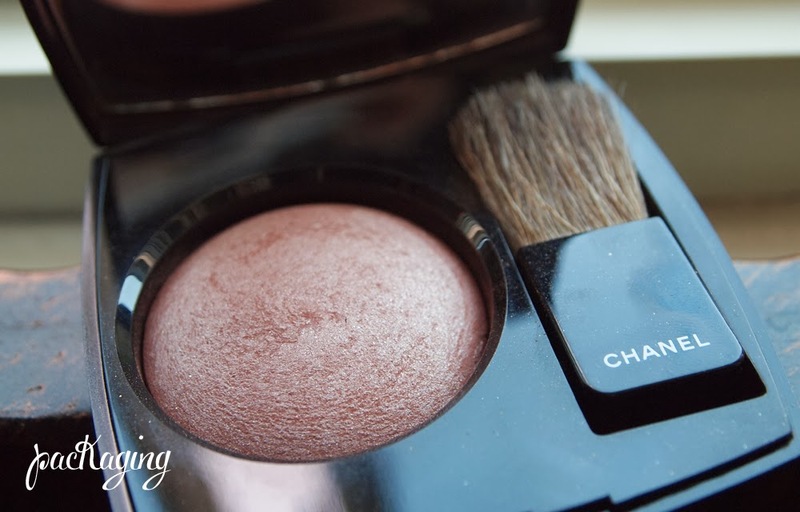 I also have the Chanel Blush in Pink Explosion and have used the brush that comes along with it a couple of times. The color is still deposited somewhat evenly and looks smooth! Here are some swatches I did on my hand. I did one heavily and one lightly. If you noticed, they're both rather shimmery - but my advice is to not judge it that way at all! 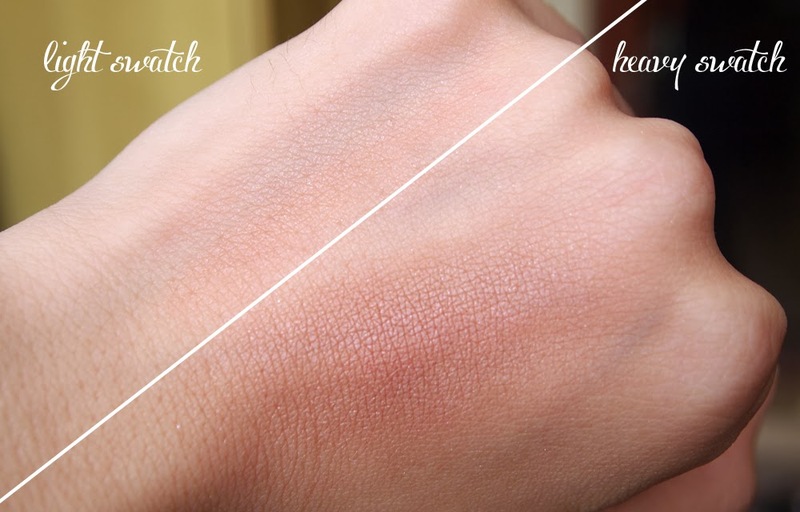 This blush is just so interesting that way. In the pan it looks so brown and bronzy (which I swear is a turn off for me because I really do not look good in such dark shades), but on the hand it turns out warmish with specks of gold. Mind you, those specks aren't subtle either, I was worried I'd look like a walking Christmas Party with the blush on. However, I applied it on my face, and all my worries melted away. It looked like a warm rose pink mixed with bronzer! 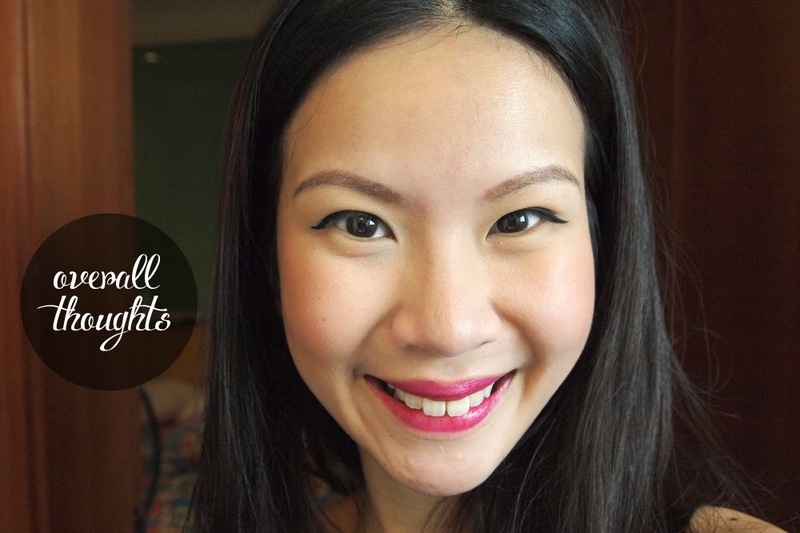 It contoured my face slightly whilst warming up my entire face instantly! I looked like I was glowing, but so naturally because any hints of red or pink is really played down! 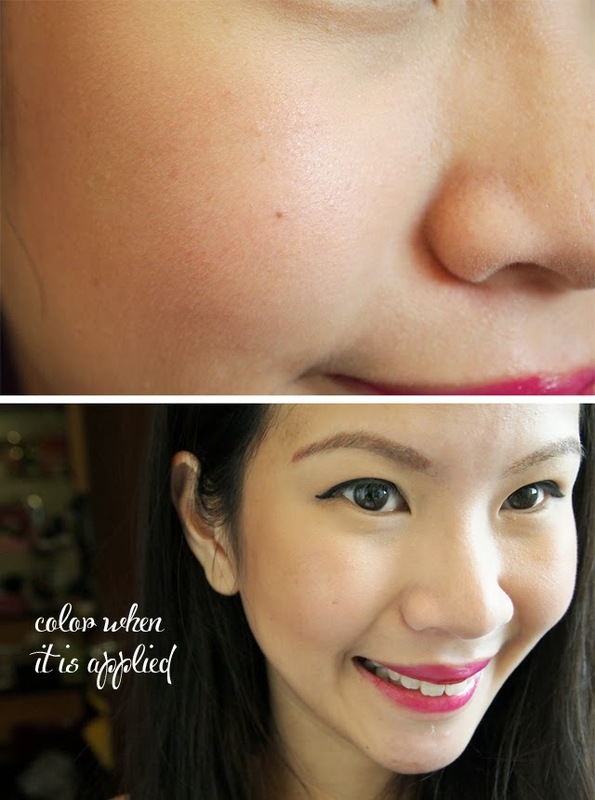 Plus the powder was so silky it melted into my skin beautifully! SO MUCH LOVE! I apologize in advance for the very dirty looking brush, I haven't washed it in about 2-3 days lol. 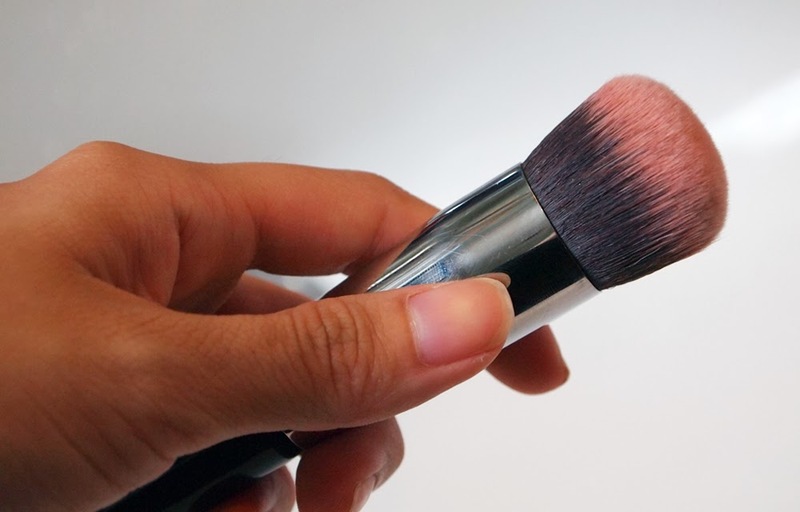 I use a Sigma F82 Round Top Kabuki to buff my blushers out onto my face. I find that this blends the heavier colors out better and allows them to adhere to my skin rather than just lying on top of it. I simply swirl the brush around the blush inside, tap once on the apple of each cheek, then proceed to blend the color out by buffing quickly in a clockwise motion. If the color is ever too heavy, I just use my palms to lightly pat at my cheeks to even it out. It lasted a good 10-12 hours on me, no exaggerating! This is one with color thats lasts. I wore it out at about 745am yesterday and it lasted till past 8pm for me! That's definitely a winner in my books! I never considered myself as someone who would use bronzer. I know people constantly talk about the importance of contouring but I never fancied the idea of using that much makeup. Plus I always assumed that it wouldn't really make a big difference on me because my cheekbones are already pretty high and my face is rather slim. But OHHHH. I could not be more wrong. This easy blush/bronzer all-in-one ensures some contouring around the cheekbones as well as a healthy flush of color which isn't your typical pink or coral but slightly nudish! It really suits the everyday casual look to a T and would not look weird for days you want to dress up at the beach either! I love how different this is from alllllll the other blushers I've ever owned and I do not regret getting this AT ALL. In fact I've been using this everyday for a week and I've just grown to like it more and more. Chanel has created one of the prettiest blushers I've had the privilege of owning and I am so proud of it! Kudos to this amazing product! Y. E. S. Seeing is believing, so just get down to a Chanel counter now and try it on! Yes! Zero regrets in getting this gem of my own!